Global-Link MP Events International, Inc. (GLMP), the country’s premiere trade event organizers, is proud to present the 21st year of Manufacturing Technology World, an event that continues to showcase the latest in breakthrough advancements on industrial technologies and machineries from across the globe. 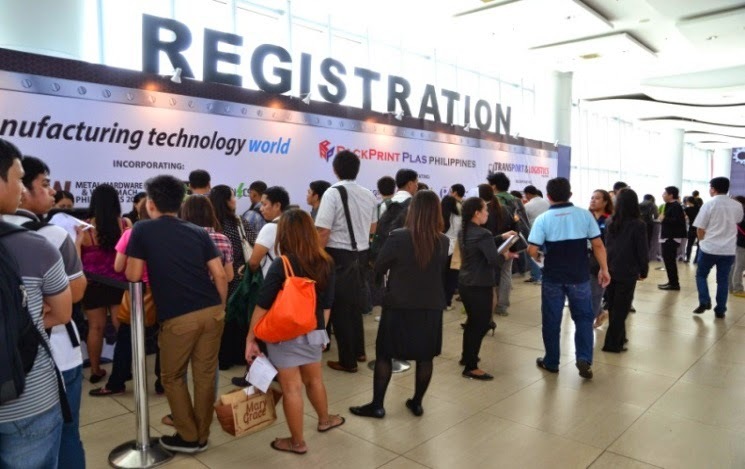 This event will be held on October 9 – 11, 2014 at the SMX Convention Center, Mall of Asia Complex. He also pointed out that the Philippine economy and the manufacturing industry is incessantly growing, therefore companies must step up their game to catch up with this development and be competitive in the international arena. Foreign companies and manufacturers have increased their investments primarily in the manufacturing sector which has revealed strong performance since the year 2013. 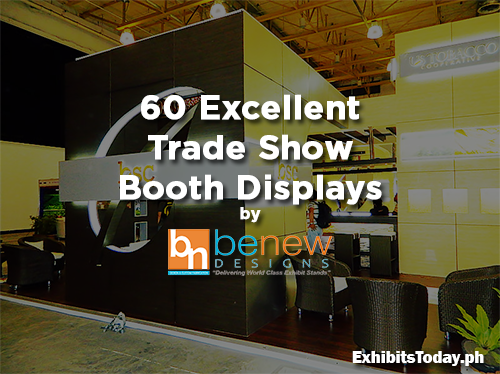 This year, over 500 exhibiting companies will be at the show where more than 25,000 trade visitors are expected. 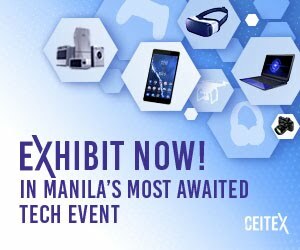 The Society of Manufacturing Engineers (SME), one of the fervent all time supporter of MTW, will be presenting The 4th Philippine Lean to Green Manufacturing Engineering Conference which will talk about the newest practices for lean & green manufacturing and how to incorporate these principles into implementation. All these headed towards preparing the industry of trade and commerce to global competitiveness. 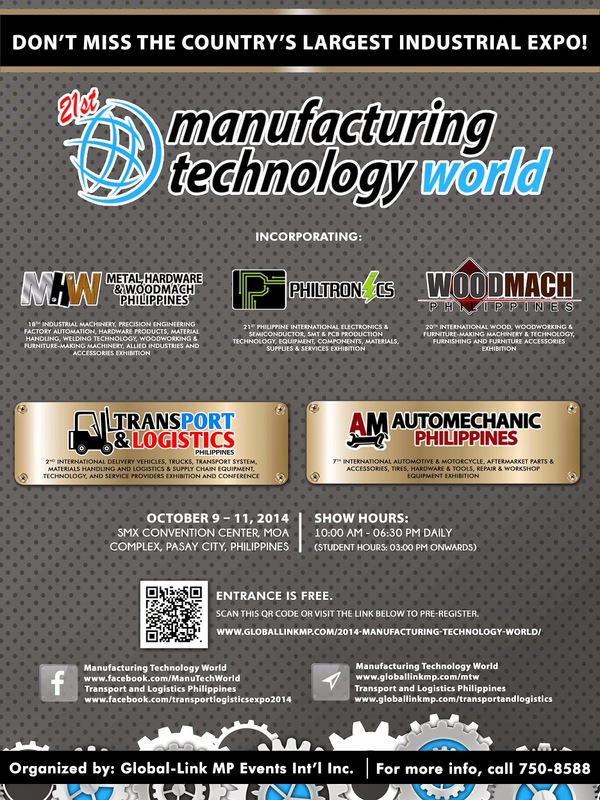 The 21st Manufacturing Technology World will encompass several sectors which will all be showcased in various segments of the event: Automechanic Philippines (aftermarket parts & accessories); Metal, Wood, & Hardware Philippines (industrial automation); PHILTRONICS (electronics & semiconductors); and Transport & Logistics (supply chain management). The show will be open from 10:00 am to 6:30 pm on October 9 and 10 and 10:00 am to 5:30 pm on October 11. 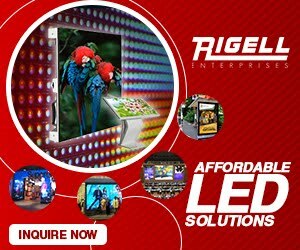 Interested visitors may log on to www.globallinkmp.com to pre-register. 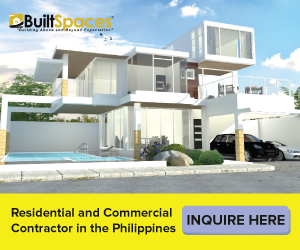 For more details on the event, you may contact the organizers at tel no. 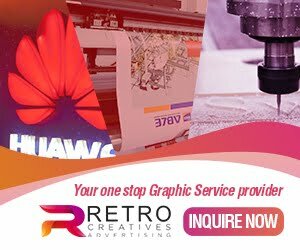 (632) 750-8588 or get updates through Manufacturing Technology World Facebook Page. 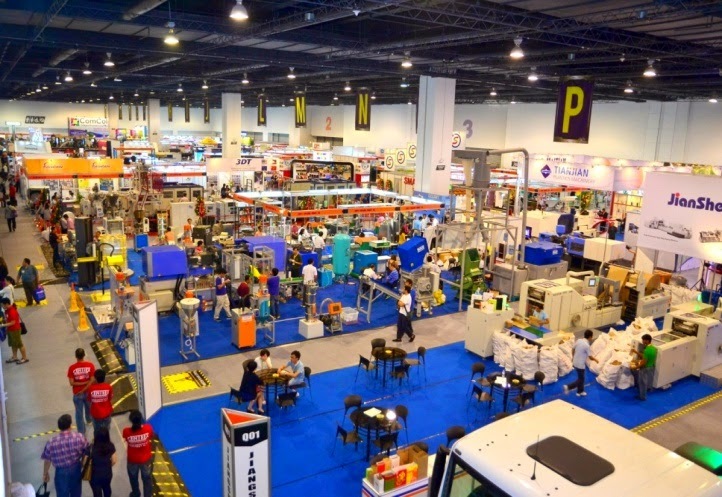 Top-Rigid Industrial Safety Supply Inc.
Henry Import & Export Corp.
Hi-Steel, Golden Bell Marketiing Corp.
Menam Stainless Wire Public Co. Ltd.
Saint Gobain Abrasives Pte Ltd.
Over 900 booth displays by suppliers and manufacturers across the globe will be there at the 21st Manufacturing Technology World. 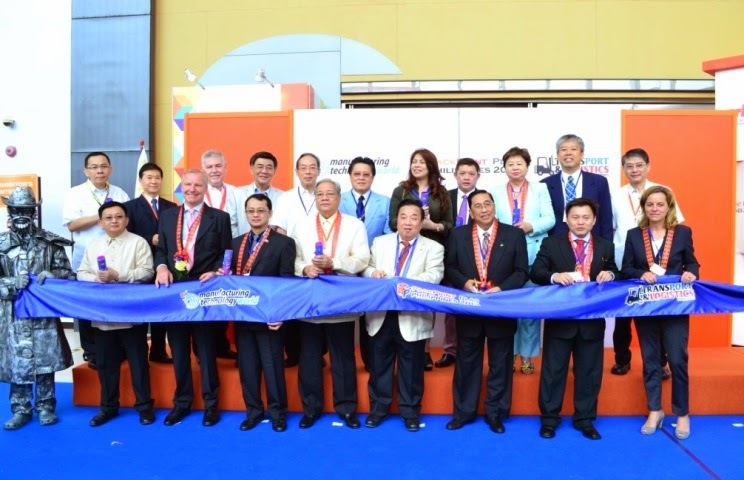 Top businessmen, economic leaders and local elected officials will be participating the welcome ceremony of the 21st Manufacturing Technology World. Business decision makers, Engineers and Key Industry Players are expected to be part of this huge business and learning exhibition. Admission is free. Trade buyers and interested visitors can pre-register online at www.globallinkmp.com. 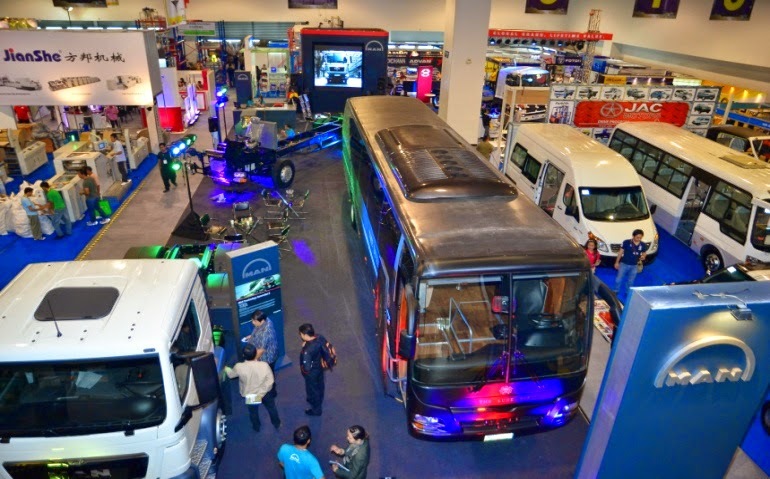 Keep yourself updated on the latest trends in the transport and logistics industry. The challenges and opportunities for the sector of transport, logistics and supply chain in the implementation of the ASEAN Economic Integration in 2015 will be discussed on a one-day conference. 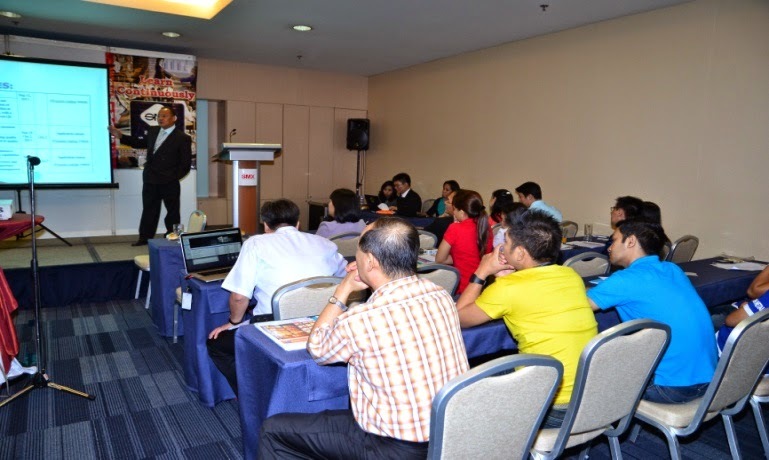 Discover learn and green manufacturing practices and its benefits. Attend the Green Manufacturing Conference organized by the Society of Manufacturing Engineers (SME). For more information; contact Global-Link MP Events International Inc. at 750-8588.